In March 2011, Ohio Governor John Kasich announced before Mayor Frank G. Jackson's State of the City address that The Avengers will film in Cleveland. Parts of the film will also be shot in New York and Michigan. 蝴蝶：For Avengers, Chris Hemsworth had to increase and expand his dietary/food intake in order to maintain the physique he built up for Thor. 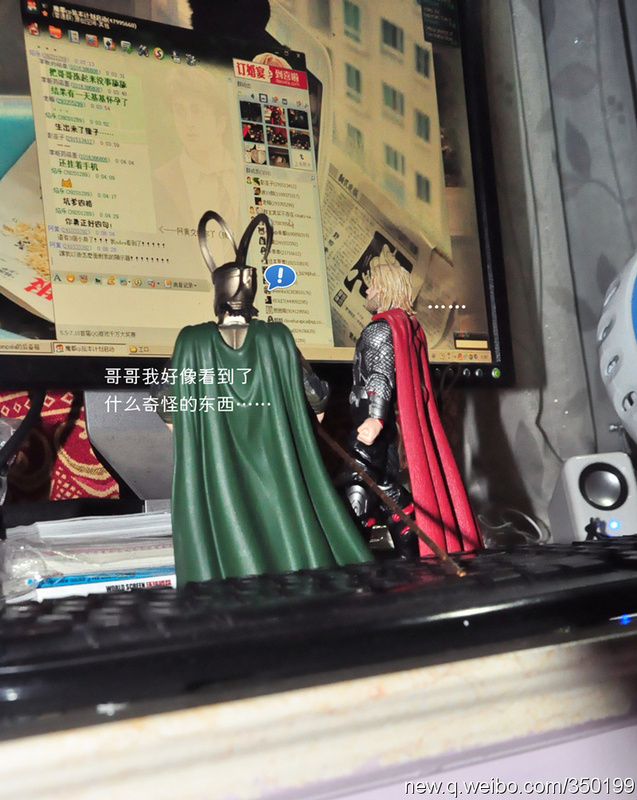 蝴蝶：Loki is the mastermind who brought the Kree-Skrull war to Earth, thus requiring the Avengers' formation. This is in keeping with the comics, where he was (indirectly) responsible for manipulating a chain of disasters which brought together the Avengers in the first place. 蝴蝶：Jim Carrey was a long-time favorite and candidate for the role of Loki since The Mask (1994), which indirectly featured Loki (but put in more fame his magic powers). Josh Hartnett was also rumored for the role. 蝴蝶：Brad Pitt was rumored for the role of Thor; Channing Tatum and WWE wrestler Paul Levesque (aka Triple H) was considered for the part; Daniel Craig was the first choice; and Charlie Hunnam, Tom Hiddleston, Alexander Skarsgård, Liam Hemsworth and Joel Kinnaman tested for the role, but finally Chris Hemsworth got the part. 蝴蝶：Tom Hiddleston prepared for the role by going on a strict diet before and throughout filming, so that Loki would have a lean but hungry visage. 蝴蝶：Chris Hemsworth has had prior experience with wielding a hammer, having worked as a builder in Australia for a few years. 蝴蝶：According to Chris Hemsworth, the action coordinators experimented with different combat styles, but ultimately the fighting technique Thor utilizes is an original one, based on boxing: stance low to the ground, with big powerful hip movements. 蝴蝶：The final choice for the role of Thor came down to brothers Chris Hemsworth and Liam Hemsworth. Chris found it funny: "We both came all the way over here from Australia and ended up battling against each other." He however bore no ill-will towards Liam, claiming he was rooting for him to get the role. Tom Hiddleston found Loki's helmet very uncomfortable, as it was heavy to wear and he couldn't see properly out of it. He channeled this discomfort into Loki's battle scenes. 蝴蝶：When Chris Hemsworth and Anthony Hopkins saw each other in full armors for the first time, Hopkins said "God, there's no acting required here, is there?" 蝴蝶：To prepare for his role as Loki, Tom Hiddleston trained in the Brazilian martial art of capoeira. 蝴蝶：Tom Hiddleston researched Marvel Comics' Loki and found him to be a multi-dimensional character, so based his performance as Loki on three different actors: Peter O'Toole (enigmatic reckless persona), Jack Nicholson (edgy and near-insane persona), and Clint Eastwood (persona with simmering anger). 蝴蝶：Both Kenneth Branagh and Tom Hiddleston were performing in a West End stage production of 'Ivanov' when it was announced that Branagh would direct this movie. At the 2010 Empire Movie Con, Hiddleston recalled one night when, as a joke, he burst into Branagh's dressing room wielding an empty plastic container from a water cooler like Mjolnir, shouting "Come on, Ken, what do you think!?". Brannagh's response was reportedly a very jokey "You never know, darling, stranger things have happened". Two months later, Hiddleston was auditioning for Thor, before landing the role as Loki. 蝴蝶：When Tom Hiddleston learnt he was going to be in the film, he was in "a grizzly pub" in North London, and caused an uproar there by screaming out loud.